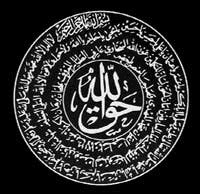 Sufism (also known as Tassawuf) is a group or branch in Islam with a mystic path or system. 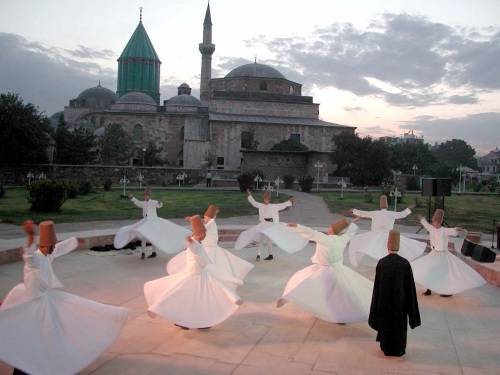 Someone who practices Sufism is called a Sufi, a Dervish or a Fakir. At first, Sufism only meant making Islam more personal and internal. 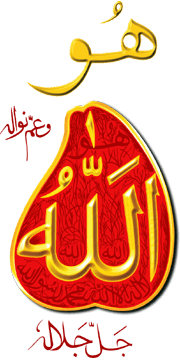 Some say it first came from constantly reciting the Qur'an, meditating, and through experience. Others have held that Sufism is striving to live like the Holy Prophet Muhammad, bringing you closer to Allah, to God. This is because the Prophet taught his disciples. Additionally, the Muslim conquests had brought large numbers of Christian monks and hermits, especially in Syria and Egypt, under Muslim rule. 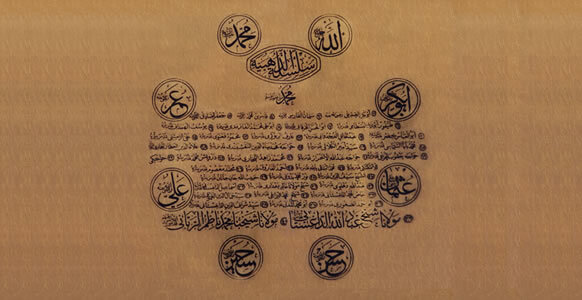 They were practitioners of a deeply spiritual and mystical (even 'Platonic') way of life and many of their techniques and methods came to be incorporated into very early Sufi practice. Some of these teachings were then summarized in texts (in Arabic initially). 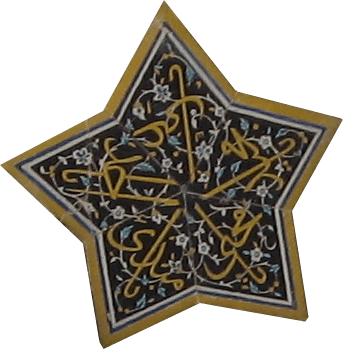 Important contributions in writing are attributed to Uwais al-Qarni, Harrm bin Hian, Hasan Basri and Sayid ibn al-Mussib, who are regarded as among the first Sufis in the earliest generations of Islam. Harith al-Muhasibi was the first one to write about moral psychology. Rabia Basri was a Sufi known for her love and passion for God, expressed through her poetry. Bayazid Bastami was among the first theorists of Sufism. Sufism already had a long history when some teachers began to set up formal schools or orders (Tarika or Tariqah) in the early Middle Ages. Almost all existing Sufi orders today trace their roots and chain of transmission (silsila) back to Muhammad, via one of these orders. The main idea in Sufism is that people can have 'personal knowledge' or oneness with God in their lives. In order to be one with God, you have to destroy your idea of yourself, or your ego. This is known as fanaa (annihilation). Apart from saying Sufi prayers, that vary according to different orders, you should be humble, considerate, and only act in order to control your desires. After fanaa is achieved, the you are reborn to live with, in, through and for God, (baqaa, permanency). This is the state where you have achieved the divine love of God, and come ever closer to a unity with God. You should now strive to be one with God. 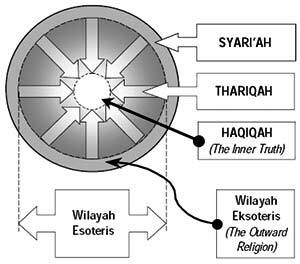 A person who has crossed the various Sufi 'stages' and achieved this sort of mystic union with Allah, is called a Wali (a saint or friend of God) and the state is termed Wilayat (friendship/union). 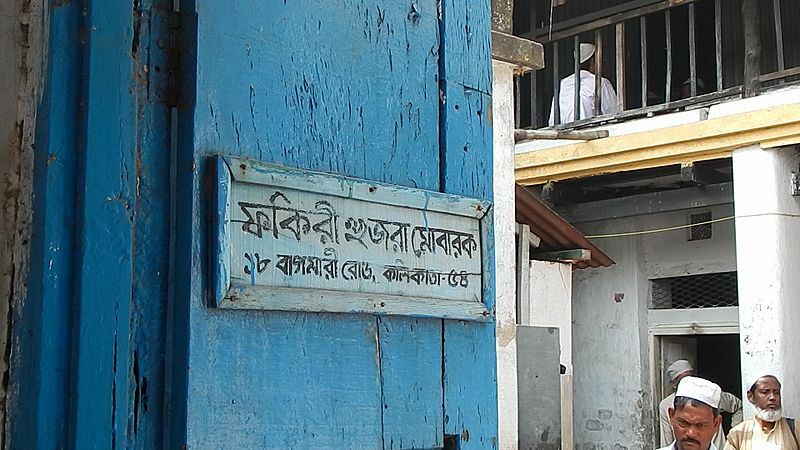 Modern practitioners, who have achieved the degree of sheikh (Master/Preceptor) and are accounted to have a high spiritual status, are still found in various places. Sufi practices are usually defined within the basic tenets of Islam, the Sharia (or Shariah) although some orders include singing and dancing in the love of God, something some Muslims frown on. Hence some Muslims of a more orthodox mind-set believe that any actions outside the scope of Sharia, or Sufi activities practised by non-Muslims are 'wrong'. However the underlying message and aim of the quest for the love of God is true for all humanity. For a non-Muslim the most important ideas in Sufism are love for fellow human beings (which reflects one's love of God) and living ones life in such a way where all actions are against the self. This automatically starts him on the path of fanaa. In terms of discipleship and training, almost all the major Sufi orders are themselves quite willing to take students who are not Muslims. There are some Muslim schools of thought, such as the Wahhabi for example, who oppose Sufism because they feel it obliterates the difference between God and man and bypasses the common method of salvation as prescribed by their interpretations of Sharia. Although there are non-Islamic versions of Sufism too (generally defined as 'Universal Sufism') puritanical and rigid people in Islam tend to view them with considerable hatred and anger. As a result, we often see a great deal of misunderstanding and conflict regarding Sufism and Sufic practices. Historically speaking, orthodox Islam, especially fundamentalist groups like the Wahhabi and Salafi have been the most intolerant and violent against what they think of as 'Deviant Sufism'. In the past centuries, severe persecution has been carried out by them against the Kharijites, the Ismaili Shia cult (sometimes termed the 'Assassins'), the Ahmadiyya movement and several other groups and individuals with Sufi-like mystical tendencies and practices. During the time of the later Mughal Empire in India, even the early gurus of Sikhism were persecuted by orthodox Islamic mullahs (theologians) since they had chosen to incorporate some of the ideas and poetic verses of the Sufi saint Baba Farid into their holy scriptures. In more recent times, over the last two decades, considerable persecution has been made of the spiritual reformer and sage Riaz Ahmed Gohar Shahi and his followers in Pakistan. He was opposed and threatened and forced to flee the country and his books banned there, and anyone publicly supporting him is liable to immediate arrest. 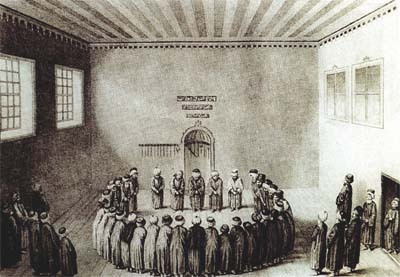 Even proper, formal Sufi orders have suffered persecution for various reasons. In recent times the most notorious example was the outright banning of Sufism in Iran. This happened in spite of the famous Amman Message, a joint declaration made by over 200 of the most noted moderate Islamic scholars in a conference in Amman, Jordan, in 2005, stressing that Sufism is very much 'part' of Islam. 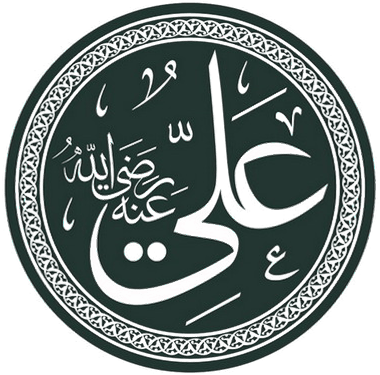 Ali is considered to be the "Father of Sufism" in Islamic tradition. The tomb of Rukn-e-Alam located in Multan, Pakistan. 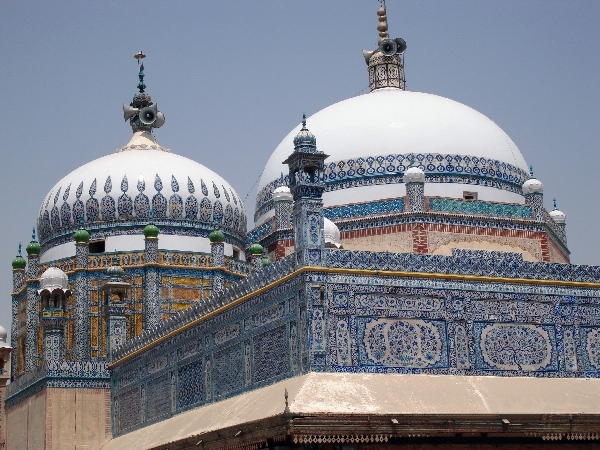 Known for its Sufi tombs, Multan is often called the City of Saints. Sufism Facts for Kids. Kiddle Encyclopedia.